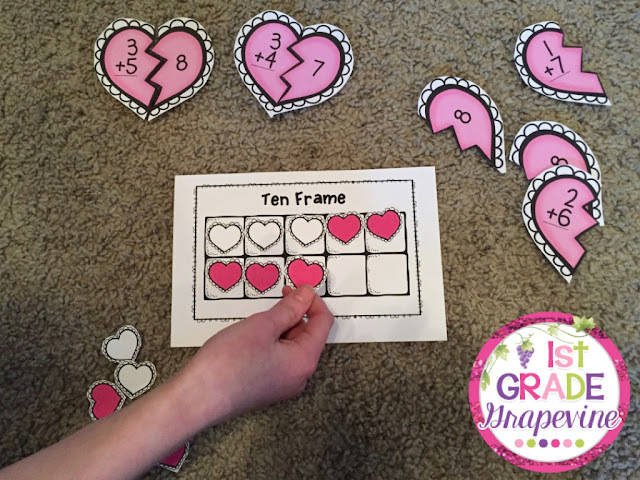 Valentine's Day is almost here and I have something for you to use with your kiddos this week. Right now I am pushing hard for my firsties to become fluent with their math facts to 10, as I'm sure many of you are as well. However, many of my students did not come to me fluent to 5, which is where we always hope they will be when they leave Kindergarten. So, along with working with them in small groups to learn all the number combinations of a number, I have also set up centers for that same task. 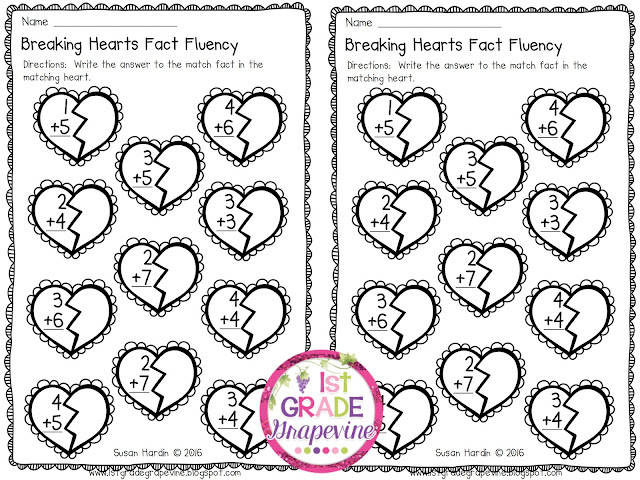 Since Valentine's Day is almost upon us, I wanted a fact fluency center with a Valentine's Day theme, so I created Breaking Hearts Fact Fluency. Click on Breaking Hearts FREEBIE to get your copy of the recording sheet just for visiting my blog. Once there follow the link.